Airports are the transport links that keep Australia soaring above the competition. From Sydney in the east to Perth in the west, when road, rail or sea transport is not an option, we often take to the sky to get ourselves and cargo to the right destination. According to Air Services Australia, there were more 3 million total plane movements in 2015 across the country's 31 busiest hubs. This includes over 1.4 million involving aircraft under 7 tonnes and more than 1.1 million between 7 and 136 tonnes. From an economic perspective, aircraft movements are vital, bringing productivity benefits to all regions. However, as this number continues to grow, it will put more pressure on airport infrastructure. There were more than 3 million total plane movements in 2015 across the country's 31 busiest hubs. This is where Bluey Technologies can be of service. As a trusted member of the civil engineering community, we have both the products and technical knowledge to assist on any airport runway repair project. Read on to find out how we can make the difference. Airports run by the clock, and any deviation from this schedule could impact tens of thousands of people. As such, when an airport runway repair project is underway, you need a team that has experience and proven success when working with tight deadlines. Over recent years, Bluey Technologies has completed countless airport jobs including at Melbourne's Tullamarine airport. In 2011, Bluey helped to resurface two runways (around 1,600m3) and install new lighting – all under the cover of darkness before flights restarted in the morning. Using the BluCem HE80AG product, we were able to finish the job up to the expected standard and reopen the runaway at Victoria's busiest airport in quick time. Airport runways can deteriorate over time. 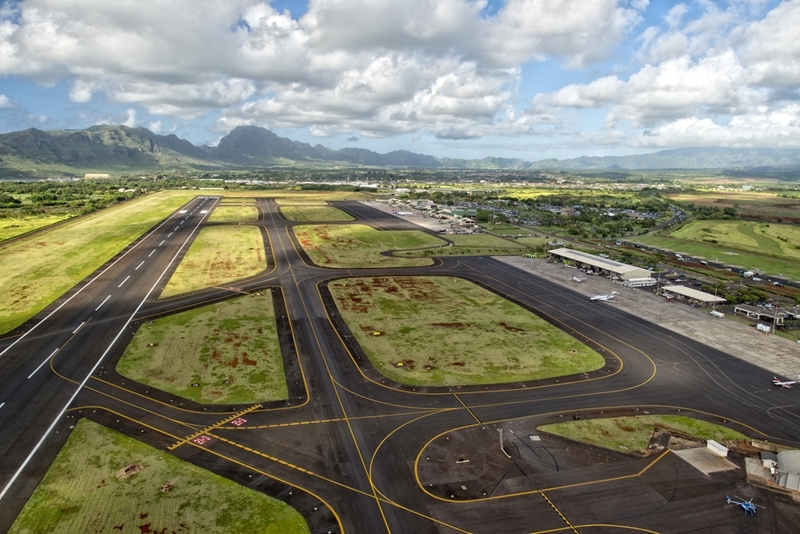 Runway repairs can be complex challenges that require concise planning to get right. As such, our experienced team of civil engineering professionals takes the time to ensure every step of the process is done correctly, with the right products. This includes surface preparation, mixing methods, application and on-site testing. No job is too big or small for Bluey Technologies, and we take pride in our ability to apply bespoke solutions to your airport runway situation. Whether you are the owner of a regional airport that services only a few planes a week or are responsible for the busiest airports in Australia, we are more than happy to help. For more information about airport runway repairs, feel free to get in touch with us today!